Designed for retail and off-premise locations, the GT2500 comes loaded with all the features you expect, and also provides additional hardware configuration choices allowing you to custom fit each machine to the needs of your customer or location. The GT2500 comes standard with an 8" high-resolution wide-screen LCD, which can be upgraded to a 10.2" touch screen. The receipt printer can also be upgraded to a 3" graphics-capable for custom branding or coupons. The integrated topper can also be paired with a selection of energy-efficient LED toppers to add visual impact and attract customers. In addition to the fixed, removable and multi cash cassette dispenser options offered by Genmega, the GT2500 can also support cash dispensers from other equipment suppliers, providing more flexibility and upgrade options for existing deployments. 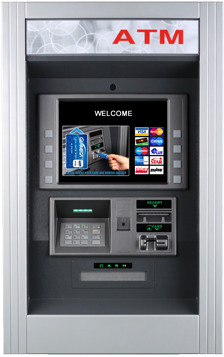 Designed and intended as a true through-the-wall machine, the GT3000 retains all the features and options of a retail floor model ATM in a small, compact weather resistant chassis, perfect for tight spaces, Kiosks or anywhere location space is valuable. The GT3000 uses a 7" high-resolution wide-screen LCD, 2" receipt printer and can be ordered with a fixed cassette or rear-load removalble cassette dispenser. There is also an optional Rear service-panel to provide secure loading and management fuctions. Packed with features like a 8� high-resolution LCD screen, ready for your custom advertisements and a reliable dual-head swipe card reader (upgradable to DIP and EMV). The GT1900 Series vault has been reinforced along the door edge, and a flashing security LED added to help prevent physical attacks. 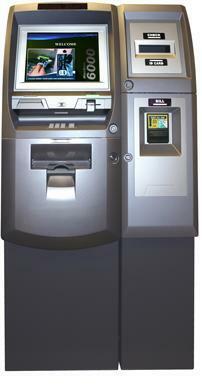 In addition to the dispensing options offered by Genmega, including drawer, cassette, and multi-cassette devices, the Genmega GT1900 series supports several other popular dispenser models including the De La Rue SDD� and the Puloon LCDM1000� providing an economical upgrade for existing machines. Anon-cash dispensing transactional kiosk, designed to deliver your self-service solution in an economical yet feature-rich and user friendly platform. The small footprint design of the Genmega GK1000 is packed with other high-end features like a 15� touch-screen LCD panel and uses a Windows XP� operating environment, allowing maximum flexibility for solution design.